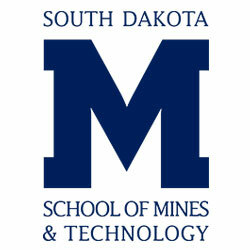 RAPID CITY, SD – South Dakota School of Mines & Technology invites the media to cover the fall 2018 SD Mines Career Fair from 11 a.m. to 4 p.m. Tuesday, Sept. 25, at the King Center. The Career Fair is open only to Mines students, alumni and staff. The Fall Career Fair includes 152 employers, 55 of which are based in South Dakota. This is a record number of employers attending an SD Mines Career Fair and the largest number from South Dakota. Included in the employer lineup are two local startup companies and 24 exhibitors that are either recruiting on campus for the first time or haven’t attended in recent years. Businesses attending include 3M, Barrick Gold North America, Black Hills Energy, Caterpillar, Daktronics, Garmin, Kimberly-Clark, Naval Surface Warfare Center, Nucor, POET, Sanford Health, US Army Healthcare, L3 Technologies, Hormel Foods Corp. and Freeport-McMoRan. More than 1,000 Mines students took part in the spring Career Fair. SD Mines graduates continue to be in high-demand, with 77 percent landing at least one internship before graduation. Mines graduates enjoy a 97 percent job placement rate and an average starting salary of about $61,300.